Which? 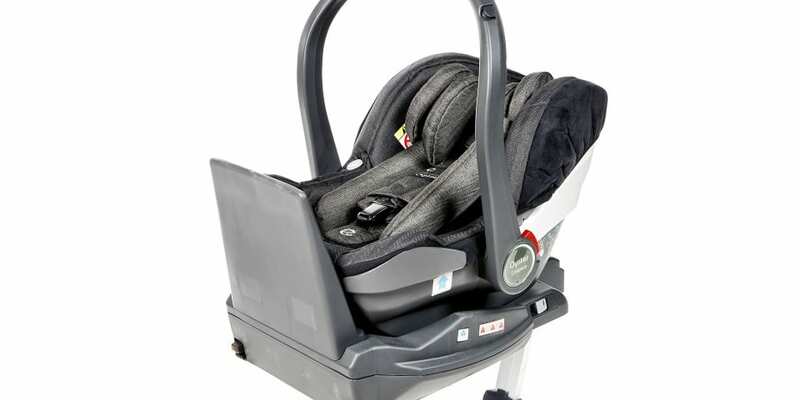 is warning parents against using the BabyStyle Oyster Carapace i-Size baby car seat with Duofix i-Size base (pictured above) after failures in our crash tests. In frontal impact crash tests when this seat was installed via the Duofix i-Size Base, it detached from the base and was hurled forward with the crash test dummy. If this occurs in a real accident there’s a risk a child could be seriously injured, as could anyone hit by the loose child car seat. Discover the best child car seats. This baby car seat has passed the regulatory tests required by ECE R129/i-Size to be sold as suitable for children from 40cm–83 cm, which is from birth to 15 months of age. However, our frontal and side-impact crash tests are designed to be tougher than the legal minimum requirements. A statement from BabyStyle says: ‘BabyStyle acknowledge the results recorded in the Which? crash tests and are actively investigating the issues reported. If you own it, stop using it with the base! The Duofix Isofix base on the BabyStyle Oyster Carapace i-Size baby car seat has four catches which lock around two metal bars when the baby car seat is placed on top of the base. While both metal bars remained locked onto the base in the crash test, they broke away from the car seat, causing the car seat to detach from the base during the test. Due to the results of these frontal impact tests, we are advising against buying this seat and base combination. When the BabyStyle Oyster Carapace i-Size baby car seat is installed correctly into a car using the car’s adult seat belt, as opposed to the base, the results are much better and this seat is not a 0% Don’t Buy car seat. If you own this car seat and Isofix base combination we’d advise you to stop using the base and install the seat using the car’s adult seat belt. Always read the instructions, which for this car seat are fairly easy to understand, so there’s a low risk of installing it incorrectly. Remember, it’s illegal not to use a child car seat when transporting your children in a car. Read more in our review of the BabyStyle Oyster Carapace baby car seat + Duo-Fix i-Size base. Which? is part of the European Test Consortium, consisting of the Worldwide Association of Consumer Organisations (ICRT) and the European car clubs. We’ve been testing car seats together since 2003. Which? has been testing child car seats since 1967. We work together jointly to crash test child car seats in two specially designed crash scenarios using state-of-the-art crash test dummies and sensors. Our crash tests are severe, and our experts feel they more accurately reflect what happens in real crashes than legal minimum requirements. This is why why we see issues with car seats that have passed car seat regulation testing. Find out more about how we test child car seats.